WASHINGTON, Dec. 28, 2016 /PRNewswire/ — The Mortgage Inspection Service is warning a person about to refinance their home, or about to obtain a new home loan to be cautious about mortgage lenders claiming no hidden fees. The costs they are frequently referring to is a kickback called a ‘yield spread premium’ for inflating the borrowers interest rate above the best available interest rate. Banks and or mortgage bankers are not required to disclose yield spread premium kickback/rebate fees to consumers on the Good Faith Estimate or the HUD 1 Settlement statement. The Mortgage Inspection Service says, “There are hidden bank fees on most residential home loans or refinances. For a bank or mortgage banker to insinuate there are ‘no hidden fees’ is an insult. While mortgage brokers are legally obligated to disclose the yield spread premium-kickback for inflating a homeowner’s interest rate on a home loan or refinance mortgage bankers or banks have no such obligation. “So how does a ‘yield spread premium’ work on a home loan? The easiest way to explain it to a consumer is if say as an example the best 30-year fixed interest rate they qualify for is 4%, and their loan amount is $200,000. If the mortgage banker or bank can get the homeowner to accept a 4.25% 30-year fixed interest rate they will typically make a 100 basis points on the quarter percent interest rate increase. This quarter percent interest rate increase should net the mortgage banker or bank about $2000. The Mortgage Inspection Service’s no cost mortgage or ‘no hidden fee’ home loan refinance report/analysis includes a brief conversation with the homeowner about their credit, specifics about their home equity, a thorough examination of the borrower’s Good Faith Estimate, and a written report detailing specific junk mortgage fees, an inflated interest rate – or both. 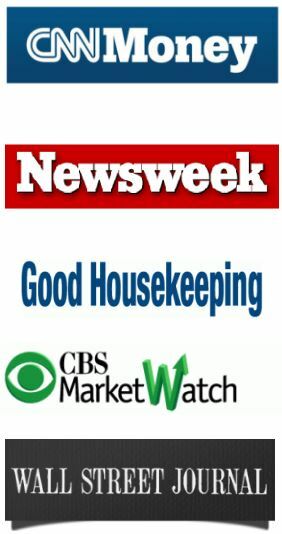 The typical turnaround time for the mortgage inspection report is 48 hours or less, and this service is available for consumers in all states including New York, California, Florida, Texas, Illinois, Virginia, Michigan, Idaho, Washington, Massachusetts, Pennsylvania, New Jersey, Georgia, Colorado, Arizona, North Carolina, Oregon, Ohio, Georgia, Maryland, etc. WASHINGTON, Dec. 7, 2016 /PRNewswire/ — The Mortgage Inspection Service is warning homeowners to not fall for the no cost, or no out of pocket, home loan refinance because there is no such thing. Frequently ‘no cost’ home refinances involve equity stripping as the Service would like to explain anytime at 866-714-6466. The Service says, “We know radio or Internet ads about ‘no cost’ home loan refinances sound too good to be true, and more often than not they are too good to be true. As an example, most of these ‘no cost home loans’ involve stripping the existing equity out of your home to pay for the costs of the mortgage. “Most these ‘no cost home mortgage refinances’ also include costs that could be greatly inflated over what a traditional home refinance would include. The traditional home refinance is paid for by the homeowner directly at closing. Aside from pointing out what the best interest rates could be, our mortgage document review report details every junk mortgage to a homeowner before they close on their home loan. The Mortgage Inspection Service’s no cost mortgage or home loan refinance report/analysis includes a brief conversation with the homeowner about their credit, specifics about their home equity, a thorough examination of the borrower’s Good Faith Estimate, and a written report detailing specific junk mortgage fees, an inflated interest rate – or both. The typical turnaround time for the mortgage inspection report is 48 hours or less, and this service is available for consumers in all states including New York, California, Florida, Texas, Illinois, Virginia, Michigan, Idaho, Washington, Massachusetts, Pennsylvania, New Jersey, Georgia, Colorado, Arizona, North Carolina, Oregon, Ohio, Georgia, Maryland, etc. WASHINGTON, Aug. 23, 2016 /PRNewswire/ — The Mortgage Inspection Service says, “We are urging real estate agents or financial planners nationwide to tell their clients about our incredibly unique service designed to ensure their clients do not get overcharged on a home loan or refinance by a bank or financial institution. When we say overcharged we mean hundreds or thousands of dollars in up-front costs/junk mortgage fees prior to closing, or tens of thousands over the life of the loan-because of an inflated interest rate. Our typical mortgage inspection report identifies $300 to $700 in junk mortgage fees, inflated mortgage interest rates or both. Is the borrower being offered the best possible interest rate based on their credit worthiness, home equity, and or down payment? If not-what should their home loan interest rate be? The Mortgage Inspection report will address this with special attention given to-what is the best possible mortgage interest rate for the borrower. Are there junk mortgage fees associated with this proposed home loan or refinance? If so, what are these junk mortgage fees? The Mortgage Inspection Report will detail all junk mortgage fees associated with the proposed mortgage as part of their written report in the hopes the borrower can get these removed by the bank-mortgage lender. Is the loan type-30 year fixed-15 year fixed or adjustable rate mortgage the most suitable mortgage product for the borrower? The Mortgage Inspection Report will address this. The caveat is the borrower must have very good-excellent credit-because these types of borrowers do deserve the best possible home loan interest rates. Is the mortgage product being offered by a homebuilder? “Homebuilder mortgages are frequently loaded with junk mortgage fees, and or inflated interest rates. The Mortgage Inspection Service’s report/analysis includes a brief conversation with the homeowner or home buyer about their credit, specifics about their home purchase or equity if a refinance is involved, a thorough examination of the borrower’s Good Faith Estimate, and a written report detailing specific junk mortgage fees, an inflated interest rate-or both. The typical turnaround time for the mortgage inspection report is 48 hours or less, and this service is available for consumers in all states including New York, California, Florida, Texas, Illinois, Virginia,Michigan, Idaho, Indiana, Washington, Massachusetts, Pennsylvania, New Jersey, Georgia, Colorado, Arizona, North Carolina, Oregon, Ohio, Georgia, Maryland, etc. The Mortgage Inspection Service is now offering a upgraded mortgage inspection for individuals about to close on a home loan, or for a homeowner about to refinance their mortgage with the goal being they do not get stuck with junk mortgage fees, that could be hundreds, or over a thousand dollars. The Service’s mortgage inspection focuses in on making certain the consumer really is getting the best possible mortgage interest rate, and the best mortgage product. The Mortgage Inspection Service says, “Our mortgage inspection report closely examines the fees being charged to the consumer, and we pay particular attention to the interest rate being charged. Why is the interest rate being charged such a big deal? The Mortgage Inspection Service is designed for home buyers, or homeowners nationwide with good to great credit. The Service’s inspection is for conventional mortgages only. They do not do FHA, or VA mortgages. If a individual wants peace of mind that they are not being overcharged on a home loan, or refinance they should take advantage of the Mortgage Inspection Service’s inspection. The typical turnaround time for the inspection report is 48 hours or less, and this service is available for consumers in all states including New York, California, Florida, Texas, Illinois, Washington, Massachusetts, Arizona, Ohio, Georgia, New Mexico, Maryland, etc. What does the Mortgage Inspection Service mortgage document inspection & review report include? The written report and review will focus in on if the home loan borrower or homeowner about to refinance is getting a fair interest rate. The mortgage document review report will analyze the interest rate and the mortgage product being offered to the consumer to make certain they are getting the best possible mortgage rate. The report will focus in on the fees being charged by the bank or mortgage broker. The report will focus in on the title insurance or escrow costs. The written mortgage document review uses the Good Faith Estimate the borrower gets before closing as the platform for its review. Don't finance or refinance without a Mortgage Inspection Report.